Looking for the best luxury spa resorts? There are many (many) luxury resorts with a great spa. Our favorites around the world are listed below. 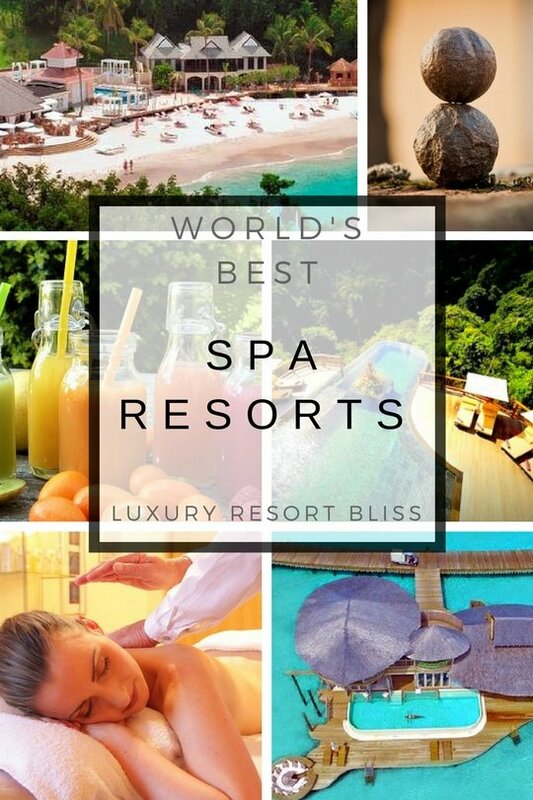 Also familiarize yourself with the worlds best all inclusive spa resorts which features exceptional spas in the Caribbean and Mexico. 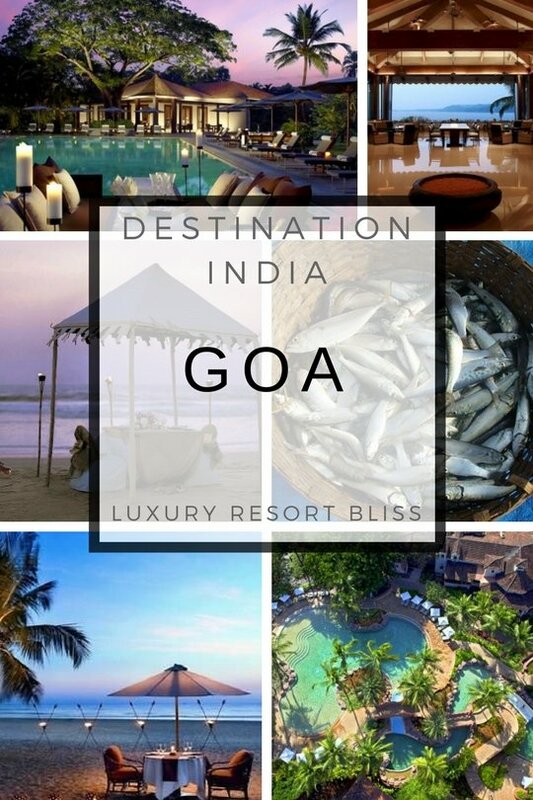 In particular, Asia is a must when checking out the spa resorts. Our favourites are in Bali, Phuket, Chiang Mai and Luxury Thailand Resorts. The jungle of the Golden triangle in Thailand is not the most likely location you would expect to find a rich vein of exceptionally high quality spa resorts. While some of the resorts here have a strong focus on Buddhist principles they all offer a quality of experience that seems easier to accommodate here in Thailand than other locations. The country seems entirely dedicated in dedication to professional hospitality at its best. Anantara Golden Triangle is a classic spa. The name comes from Sanskrit words ‘without end'. Treatments come from traditional cultures,and " restore balance and harmony between body and mind in an oasis of beauty, grace and tranquillity". The resort also has top 5 star, rooms (77), restaurants and pools and facilities. Chiang Mai has some very interesting spa resorts. See Chiang Mai luxury resorts for more. Lime spa has beautiful over-water pavilions and the world’s first underwater treatment rooms. There is something soothing about the kelp, corals and sponge inspired setting with tropical fish cruising by. More on Lime Spa Huvafen Fushi, a Per AQUUM Retreat. See more spa resorts in the Maldives. We've reviewed both the Best Europe Spa Resorts and also the best destinations in Europe to enjoy a spa vacation. Ranging from famed water of Evian in France, a Turkish Bath visit in Istanbul, the spa city of Budapest to the old English spa vacation in Bath which the Romans established to enjoy the thermal waters. 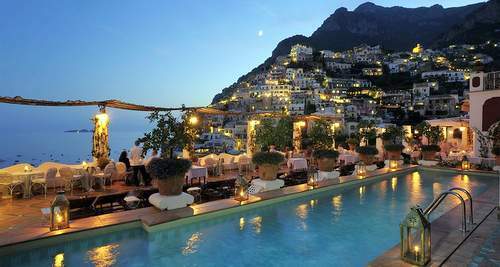 Set on the Italian coast at Positano, the hotel features a Gae Aulenti designed full service spa which has massages and treatments using AVEDA's oils and methods. This top Adler Thermae Spa & Relax Resort located in San Quirico d'Orcia, is an all inclusive Italian resort. This is a family spa resort which is Located in Tuscany with 50°C waters, treatments and vineyards at your doorstep. 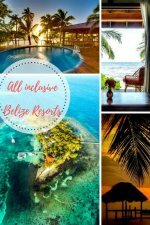 The Luxury Resorts in the Caribbean and in Mexico offer some of the most accessible quality spa resorts, which couple with outstanding vacation packages. These elements work together to bring about a more relaxed, balanced and adjusted, better you. Spending a little time on a pristine beach enhances the massage you had and prepares you for the luxurious treatment ahead. See our review of the top All Inclusive Spa Resorts for many of the best Spa Resorts in the Caribbean. The BodyHoliday is splendidly deluxe forested island landscape of St Lucia is simply amazing. Top personal service from the Wellness Centre to the five great outstanding restaurants will keep you on cloud nine. The fundamentals of relaxation, restoration, exercise options and good food are the core of this resort. More on BodyHoliday St Lucia. There are 2 main areas where you can find a large number of fantastic spas: Arizona and California. The quality is high and there's also a variety of treatments and treatments styles. But there are also great spa resorts throughout the whole country. 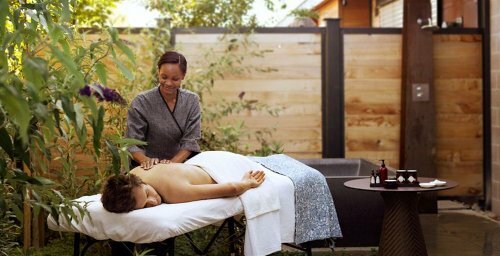 You may also like to see the Top 25 United States and Canada Spa Resort Destinations. California has a large number of luxury spa resorts. We've listed them all on their one page. Click here to visit luxury spa resorts in California. Nearly every Arizona luxury resort we've listed has a great spa attached as well. Cheeka Spa and Lodge in the Florida Keys comes complete with a heated lap pool with an exceptionally well trained butler, Vichy showers, yoga classes and custom therapeutic massages. More information and special offers on Cheeka Lodge. There's the Boulders Resort and Golden Door Spa. It uses Native American and Eastern treatments and therapies. There's also the Four Seasons Troon North, Camelback Inn, Fairmont Scottsdale Princess (has Native American purification treatments) and The Phoenician (signature Southwestern treatments). Sedona has a number of wonderful luxury spa resorts. Enchantment Resort And Mii Amo Spa has a native American spiritual focus. Enchantment Resort And Mii Amo Spa special offers and reviews. Scottsdale also has a number of great luxury spa resorts. (You can visit Scottsdale luxury resorts to see them all). If you're looking for more of a boot camp style spa, Canyon Ranch in Tucson offers a great one. To see more resorts in Tucson, click here. California has many many luxury spa resorts. And they are excellent. There is a lot of choice of 5 star resorts with excellent reviews. Los Angeles resorts are more resort-hotels but they are fully luxurious and the spas are excellent. Napa Valley has a number of great spa resorts including Bardessono pictured above. They get great reviews and have the added benefit of being surrounded by beautiful wineries. See more Napa Valley luxury resorts. The first task to take up is to decide a lavish location. You can go according to the season like if it's hot, its better to go to the beaches. The top destinations in this category are the Caribbean, Europe & South Pacific or Oceania. The Caribbean is a vast body of water. If you are a water lover then there is nothing like this jewel widely known as the world's fifth greatest water body. The Caribbean has over a hundred islands which turn from the bottom tip of Florida to the northwest of Venezuela. These romantic and exciting islands are blessed with exotic beauty of turquoise blue waters & sandy beaches. The temperature is often perfect throughout the year at around 80 degrees Fahrenheit. You can look forward to are the bewitchingly beautiful beach villas. Another outstanding location is Europe. Besides a rich historical past, this wealthy location has all sorts of scenic splendors and things to see and do. From the spectacular slopes of Scandinavia, the humid Mediterranean peninsulas something is always there to steal your attention. The incredible South Pacific or Oceania is a growing luxury location. Marvelous islands like New Zealand, Australia and Micronesia etc make for a nature lovers paradise and make you a prisoner of their lust. Fascinating lagoons & lively beaches to enjoy all types of water sports & other activities like spinner dolphins and humpback whales. So what are you still waiting for--Travel in Luxury- Experience the Heaven on Earth!